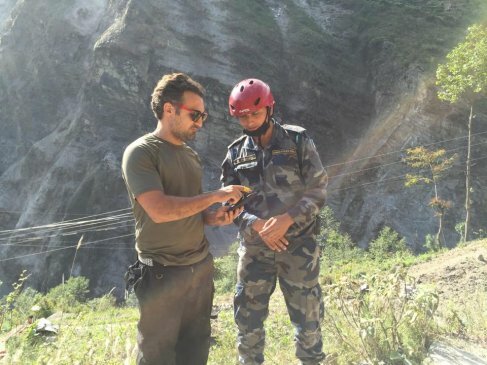 A pair of drones served a vital purpose in traversing landslide-strewn Nepal roads, when two men, part of the Scientology Volunteer Ministers Nepal disaster response, used the images from these devices in the search and rescue operation. 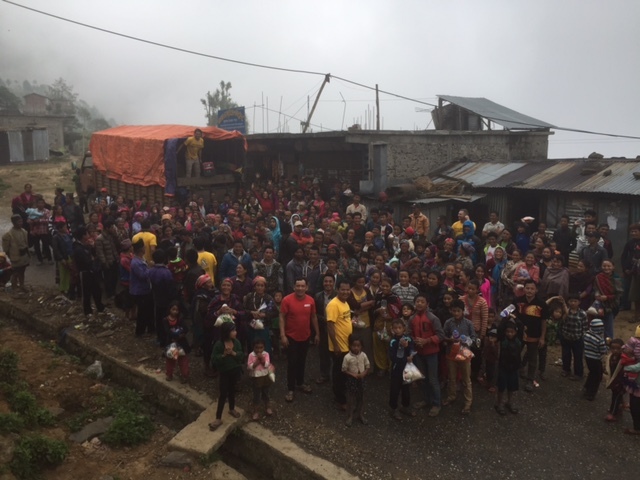 Arriving in Nepal on April 29 and joining the Scientology Volunteer Ministers team, two live event producers made unusual and valuable use of the small aerial drones they use in their work, when they trekked to the small remote mountain villages bordering China several hours outside Kathmandu. 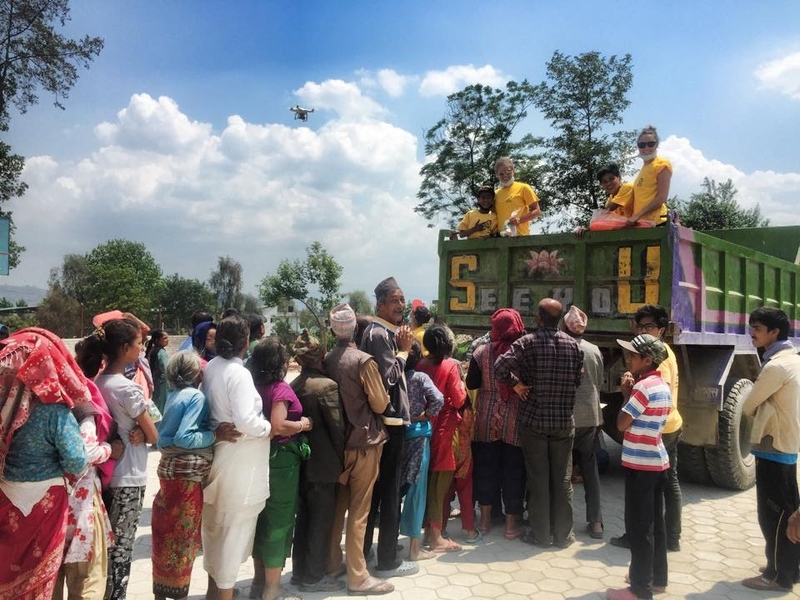 With roads largely impassable due to landslides triggered by the quake and dozens of aftershocks, the footage from the drones proved an essential asset in helping direct the search-and-rescue and aid distribution operations on the proper routes to take and which to avoid. And it’s about far more than simple convenience. In many senses, it’s literally a matter of life and death. 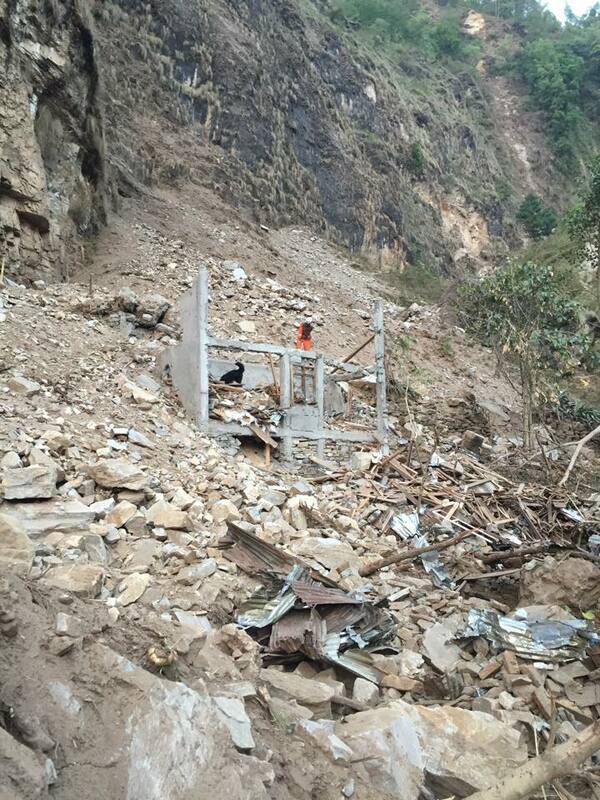 If you took the wrong road, that activity alone could trigger further landslides and mudslides. 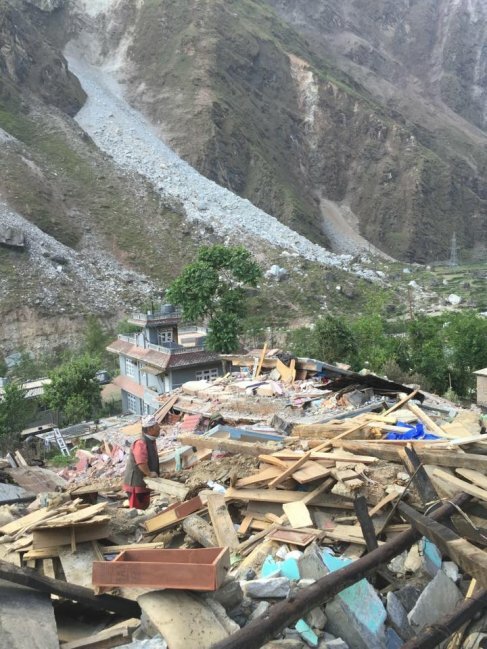 Tens of thousands of locations remain at high risk of further deadly slides throughout the quake-ravaged nation, according to recent computer analysis of earthquake shaking, slope steepness and rock strength. The risk is expected to increase exponentially with Nepal’s imminent monsoon season. Beyond their practical use, the drones have also been a big hit with youngsters in the area, who marveled at watching them launch and send back images. So successful has the drone operation been that the volunteers, Mike Savas and Max Rantz-McDonald, have committed to fund and mobilize an international drone disaster team, which can be among the first responders at major disasters like earthquakes, tsunamis and floods. To some degree, it’s all in a day’s work for these men. They already are part of a group called Roadies That Care, which consists of touring music event-workers who raise money while on the road and pay visits to hospitals and other facilities to give something back. Savas and Rantz-McDonald hope to continue dispelling the myth that the people who put on music events are all about drinking and partying. These two are instead making a real difference – and literally saving lives. Whether serving in their communities or on the other side of the world, the motto of the Scientology Volunteer Minister is “Something can be done about it.” The program, created in the mid-1970s by L. Ron Hubbard and sponsored by the Church of Scientology International as a religious social service, constitutes one of the world’s largest and most visible international independent relief forces. An aerial drone takes in the scene of the yellow-shirted Scientology Volunteer Ministers passing out food and tarps to families in need in the outskirts of Kathmandu. The drone was used to help in the search and rescue effort after the April 25 earthquake. Event producer and Volunteer Minister Mike Savas brought drone technology to the Scientology Nepal Disaster Response Team, using a drone to help scout treacherous terrain. 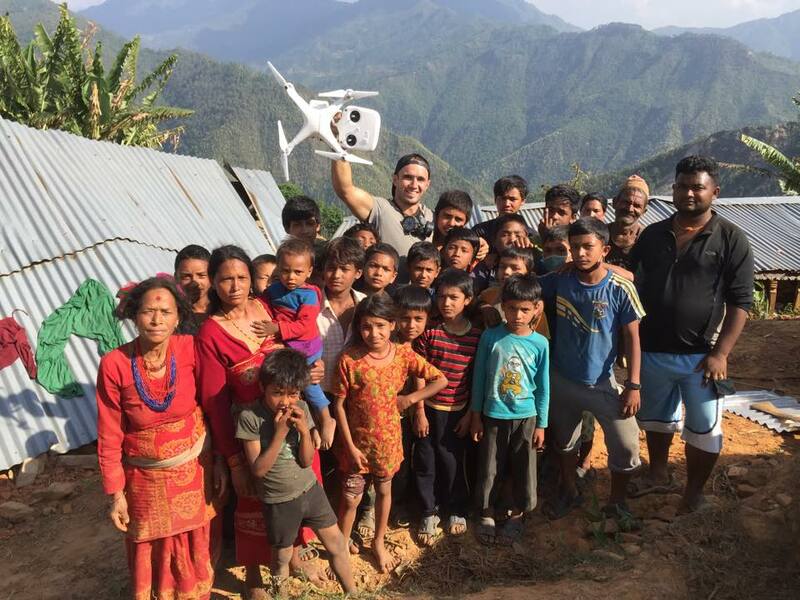 One of the aerial photography drones used and remote controls used in mountainous regions in Nepal. Mike Savas shares drone information with a search and rescue specialist in Nepal. 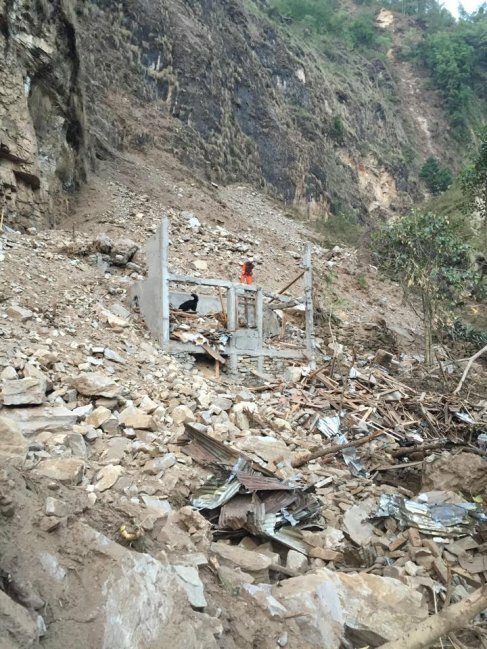 The April 25 earthquake followed by 70 aftershocks, mudslides and landslides have made rescue operations extremely dangerous. Drone technology has taken some of the risk out of the equation. 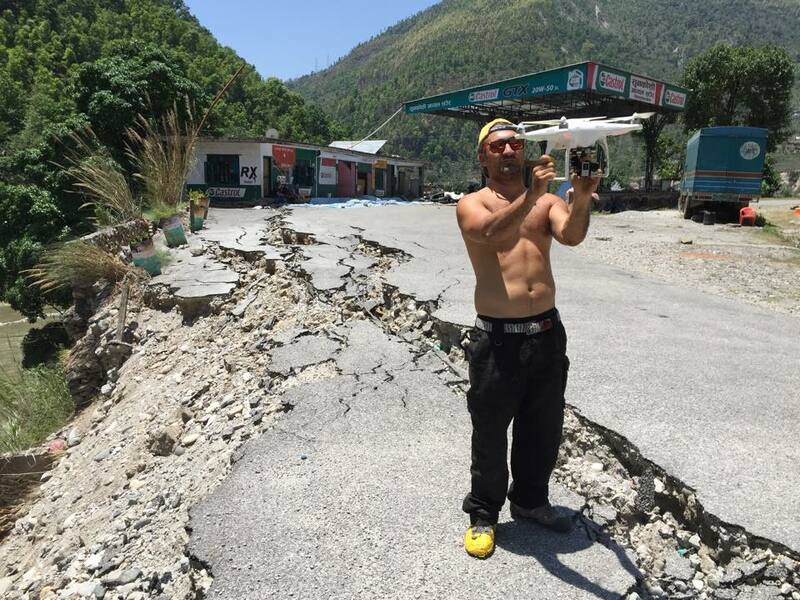 Max Rantz-McDonald runs the remote control for an aerial drone in a valley in Nepal during the earthquake rescue operation. 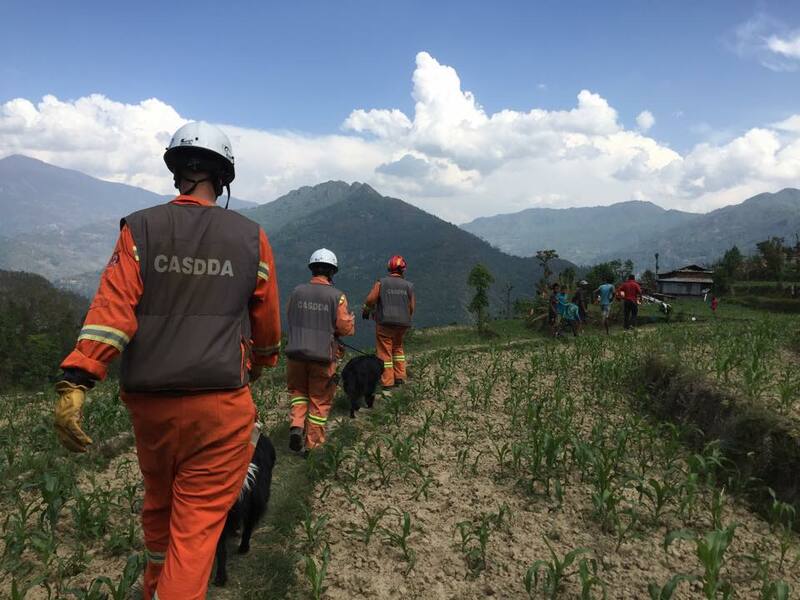 Savas and Rantz-McDonald were dispatched to help with search and rescue alongside the Canadian Search and Disaster Dogs Association (CASDDA). Through use of their aerial drone, the men were better able to assess the best routes to take. On this hillside in Nepal, devastated by the April 25 earthquake, the spot of orange is a member of the Canadian Search and Disaster Dogs Association (CASDDA). The black spot is one of their prize rescue dogs. The dogs pick up the scent of those buried in rubble. The drones have also been a big hit with youngsters in the area, who marveled at watching them launch and send back images.